One of the most prolific and engaging stand-ups of our time. As seen on Ch4’s Comedy Gala, BBC One’s Michael McIntyre’s Comedy Roadshow, The John Bishop Show and Live at the Apollo (twice). 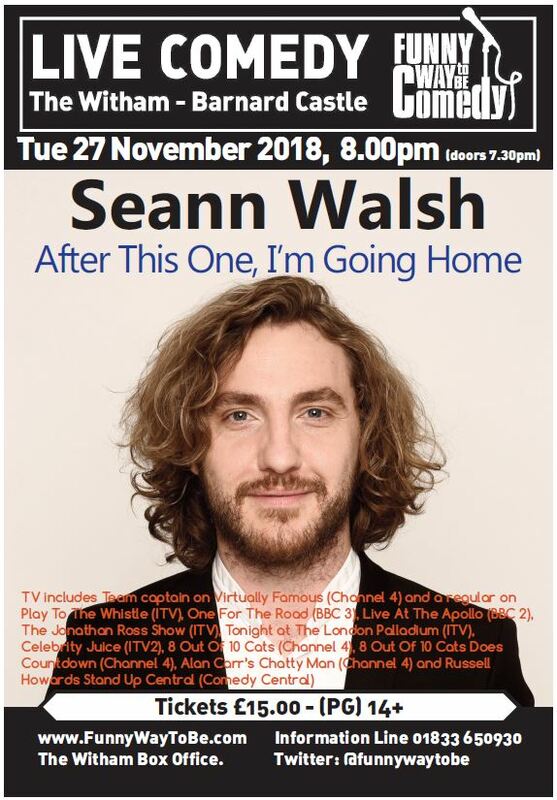 Revised date due to Sean's appearance on Strictly Come Dancing. Sean will be appearing in Strictly Come Dancing on the BBC over the autumn.